Got someone tricky to treat? Our gift vouchers might just save the day. 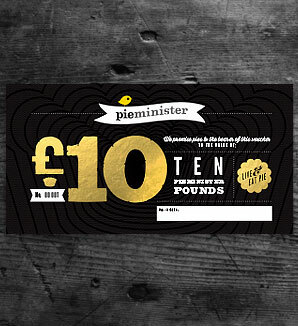 Redeemable in Pieminister’s outlets only.